How do you serve your tea? Do you simply brew a cup? Or do you serve from a teapot? Whether it is for two people or six, teapots have been around for centuries. Teapots come in many forms, sizes, and are made in several materials like ceramic, metal, silver, or even glass. The earliest teapots were invented during the Yuan Dynasty in China but it was during the Tang Dynasty when tea became more popular. The earliest teapots were made from Yixing, a type of clay. By the end of the 17th Century, this teapot arrived in Europe and there was already a high demand for tea. However, tea was normally reserved for the wealthy since it was taxed so high, making it expensive at the time. Teapots produced back then were made of silver. Catherine of Braganza (the wife of Charles II) even enjoyed tea originally from Chinese porcelain, but later on switched to English silver. In 1784, the taxes on tea were finally cut, thus greatly reducing in price and allowing more people to have access to the beverage. Tea’s popularity and consumption began to increase and tea eventually became the most popular drink in all of Britain. Many makers of British teaware became prominent and also competed against China’s teapots until British teapots became more standard. Today’s most popular teapots come from many British manufacturers, ranging from Wedgwood’s Bone China to the smash hit (I probably shouldn’t be saying that about teapots!) Brown Betty teapot. Round-vesseled and beautiful, these teapots are tougher than you think! These teapots were made early on in the 1800s, with special red clay found in the Bradell Woods area located in Stoke-on-Trent and glazed with a Rockingham Glaze, helping it turn into its signature brown color. 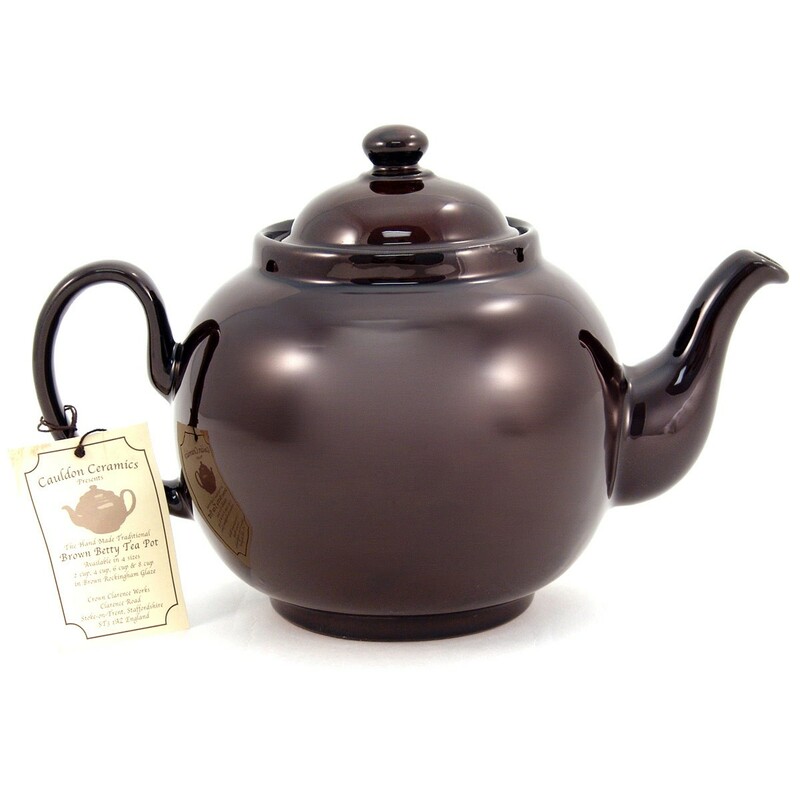 How the Brown Betty got its name is relatively unknown but what they are known for is their excellent quality since the tea leaves will have plenty of room to gently unfurl once hot water is poured in. Brown Betties are well known for retaining heat thanks to the ceramic and can stay warm for a long time (cozies also help)! You can use whatever tea you fancy in any teapot, whether it’s for yourself or for a full table of guests. There are 2 cup, 4 cup, 6 cup, and even 8 cup teapots. Not into two cups of tea? Not a problem! There are tea for one sets like this one that even include a cup! Did you know? Yixing teapots are known for “remembering” a type of tea. The clay in it makes it porous, so it helps remember the previous teas that were infused in them, thus earning the nickname “memory teapots”. It’s best to stick with one type of tea when infusing in this teapot.